Assignment 6: Make something BIG. 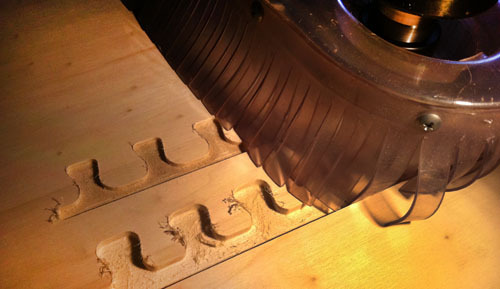 This assignment we worked with the shopbot, a milling machine, to make something big. 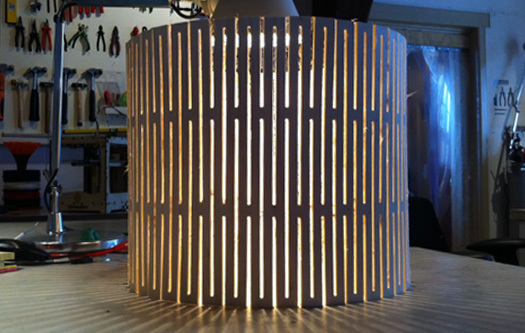 I wanted to make a lamp, using one sheet of wood with slots in it that make the wood flexible. At this point the lamp is not finished yet, so here some work-in-progress pictures and my notes on the process. First I tested the principle. After the first attempt I made the bridges connecting the strips a bit thicker so it would be a bit more rigid. I chose 4 mm poplar wood for the lamp and milled with a 1/8 inch (3.175 mm) bit. At a 15.5 rpm spindle speed it makes a sharp cut without splinters. Now I am ready to make the lamp, an update will follow soon. They can be made one-sided our double-sided. This is how the pieces of 9 mm plywood came out of the machine. The first time I made the 'teeth' the same size on both parts. They just didn't fit when they came out of the milling machine, so I had to sand them off to make them mate. For the second test I offset the teeth 0.2 mm to the inside and then they were perfectly snug. 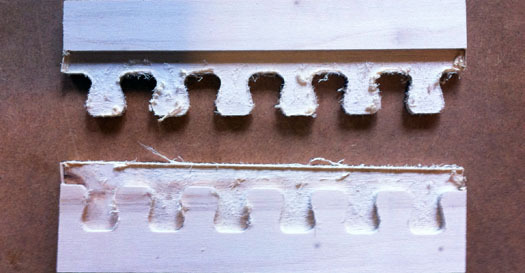 - Prepare the other toolpaths, start with pockets and cut the outlines at the end. 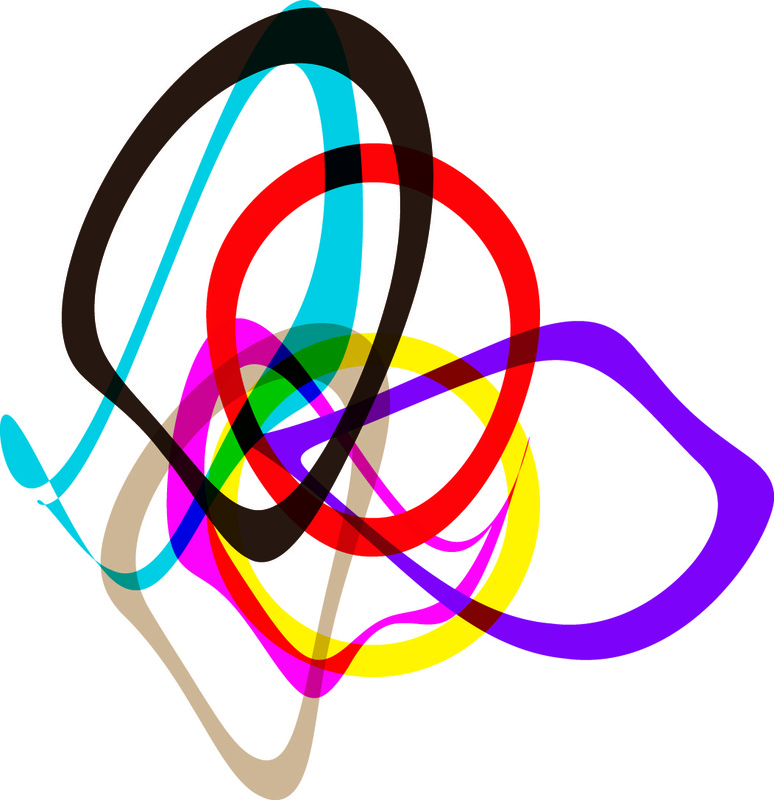 - Check how the path looks in the 3D view tab. - Save the path and give it a very clear name. Save it in project files in a folder with your name. You can save all paths in one file, but maybe you want to save them separately to do the jobs one at the time. Once all your jobs have been prepared go to the machine. - From the top menu bar, click the go to absolute zero button. Wait until it is at its 0,0 location. - Bring the milling bit above the corner of your material. Take notes of its x, y position relative to its 0,0 point - in this way you will always know where to go if the machine crashes. Press zero x & y axis from the 'zero' menu to make this the new 0,0 point. - Now get the metal plate that is stored at the side of the head. Hold it against the drill and check in the red dialogue if it makes contact. If it does, place it below the drill and press the set zero button. It will give a warning, click it away if you are ready. I twill zero twice. - When the jobs are done move away the head and take the pieces out. Clean the dust from the bed and if you are done working take the sheet away. When milling, you want to take away as much wood as possible, as fast as possible, and with a smooth cut. The challenge is to find the optimal chip load for your milling bit. If you take away too little material the tool can overheat, and if you try to take away too much material at the time the tool and spindle get overloaded. Material: The softer the material, the faster the bit can cut through it. If your feed rate is high, it can also have a high rpm. If the material is harder, it is more difficult to cut chips away, so the head must move slower and the rmp must be lower as well. Size of the bit: The bigger the bit, the more material it takes away and the more wood it can carve away in one go. 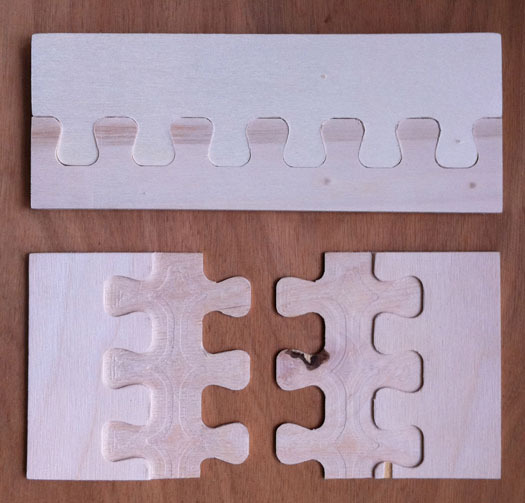 Smaller bits make nicer corners, but usually they are not long enough to cut through thick sheets. Flute: Means cutting teeth. Bits generally have between one and four flutes. The tooth cuts the material, and chips of the material are pulled up or down by the rotation of the flutes. Up- or downcut bit: If you turn the bit you see the spirals move up or downwards. With upcut bits the woodchips exit more easily. Downcut bits turn into the material, which keeps the surface of the material more intact. Choose downcut bits if you want a sharp cut on the surface. RPM: The faster the bit turns, the more material it can take away. If the feed rate is high, also a high rpm is needed and if feed rate is low, the rpm has to be lower as well. Shape of your object: If your lines are straight there won't be too much heat production, but if you have a lot of corners and the spindle slows and accelerates all the time it does not cut at its optimal feed and speed rate, so there will be more heat buildup.